More than 500 photographs consigned by the descendants of Edward Hillsworth, amateur photographer and founding member of the Basingstoke Camera Club, sold in 28 lots at Ewbank’s auction. Just such a collection came up for sale at Ewbank’s (24% buyer’s premium) auction house in Surrey in its 25th anniversary sale on March 22. 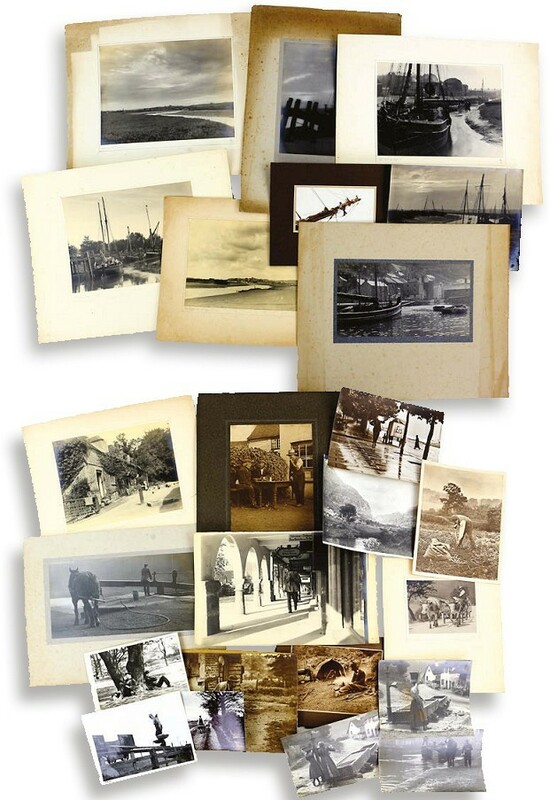 The 500 plus photographs had been consigned by the descendants of Edward Hillsworth (1867-1941), amateur photographer and founding member of the Basingstoke Camera Club. The group constituted his entire body of work, largely bromide prints from glass negatives, offered in 28 lots. They captured scenes of rural life across the south of England from Essex to Cornwall. Most sold pretty much as predicted for prices under £100 but exceptions included a group of around 67 views of Rye Harbour and other coastal scenes, a selection of which is shown here, which realised £320. Another was the group of rural prints also pictured that included one titled A Surrey Farmstead dated 1931 and another called The Lock. They outpaced their guide to take £240.